If your Mac user account has disappeared you’re probably cursing the machine while fearing for your data. Have no fear, we’ve got the data-saving solution you need. 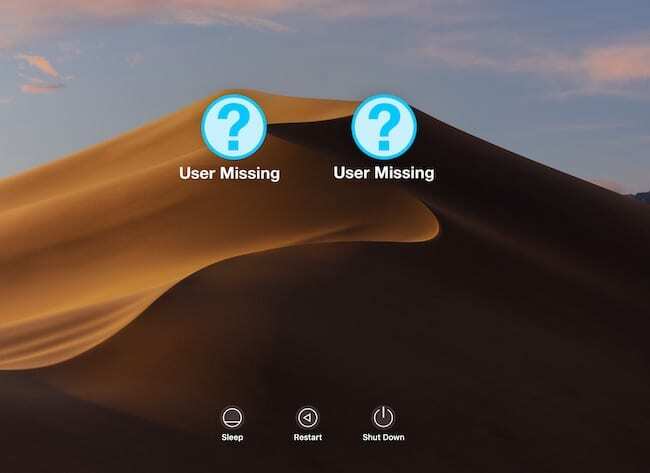 Some users have returned to their Macs after a well-deserved screen break only to discover their user account has vanished. It could be one account or several that have gone AWOL, but the bottom line is the same: The use can’t log in to access their data. 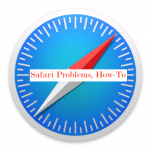 If your Mac user account has disappeared, we’ve got two solutions. 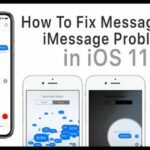 The first is to restore your Mac to factory settings. 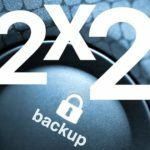 However, this option is potentially time-consuming and will delete all the data from your Mac, so you should only do it if you have a Time Machine backup to recover from. The second solution is to follow the steps below and hopefully regain access to your account without sacrificing any data. 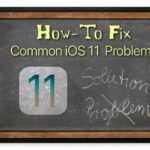 You will need to type out three computer commands, but by following the steps closely you shouldn’t have any problems. 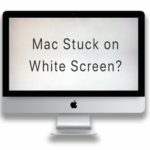 For this solution to work properly, you need to shut down your Mac and wait five minutes. I’m serious. Wait for your Mac to power off completely (the screen will go totally black) and set a timer for five minutes. Only once that time has passed should you continue. When a small white rectangle flashes on the screen, release the keys. And DON’T PANIC. You should see a lot of confusing white code appear over a black background. 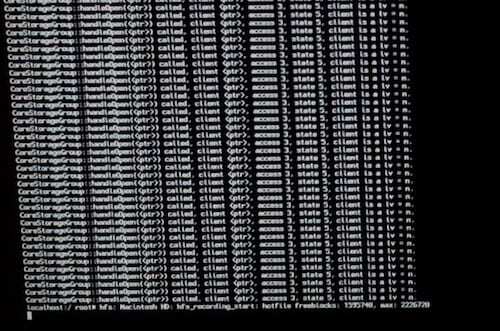 This is the Unix shell of your Mac and it’s completely normal. Press enter again and you will see numerous lines of code appear on the screen. The last line should be different from all those above it. That’s how you can tell your computer is ready for the next command. Press enter. You just deleted a config file in your Mac that will allow you to go through the initial setup to create a new user again, without sacrificing the data on your machine. That was a simpler one, eh? 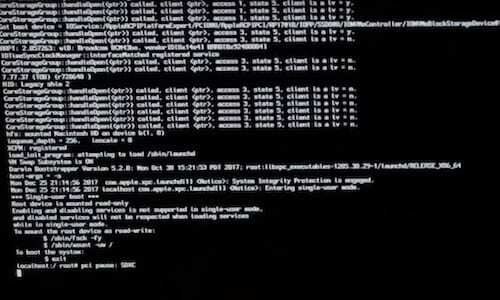 After entering that last key command your Mac will restart itself and appear on the initial set-up screen, as though it were brand new. Don’t worry, you shouldn’t have lost any data, we’ve just tricked your Mac into thinking that you never did this setup. Follow the onscreen prompts to choose your language, region, WiFi setting, etc. 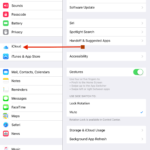 However, do not transfer any data from a backup or connect to your Apple ID. Doing so will take up a lot of time and you really don’t need to. When asked to do so, create a new Admin user account and password. 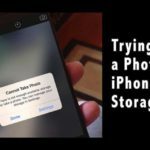 If all goes well, you’ll be deleting this account — however, there’s a chance you’ll instead need to copy all your old data across and use this new account going forward. So name it accordingly. 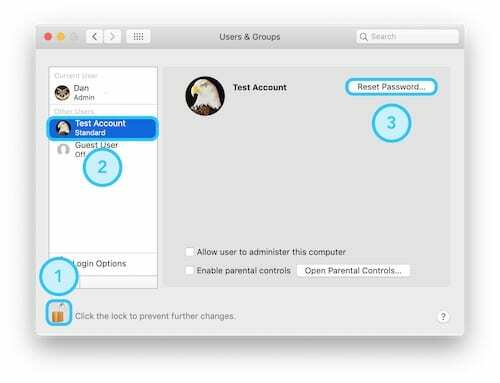 Once your new account has been created and signed in, open the System Preferences app from the dock or from the Apple icon in the menu bar. Click Users & Groups and marvel at your old user account(s) in the sidebar. To access those accounts, you first need to click the Padlock button and enter your new Administrator password. With the padlock unlocked, select your old account in the sidebar and click the Reset Password button that appears. Create a new, memorable password for your old account. Reset the password of your old accounts. With a new password created for your old account, you can hopefully see it and sign in again from the login screen. To test it, click the Apple icon in the menu bar and log out. Then click your old user account from the login page and enter your newly created password. Et voila! You’re back in your old account with all your old data. Feel free to go back into Users & Groups to delete the Admin account we created in this guide. Unfortunately, for some of you that last step won’t work. If your old account is still missing from the Mac login page we can still recover your data by copying it across to the new Admin account. To do that, start by signing back into the new Admin account, then open Finder. 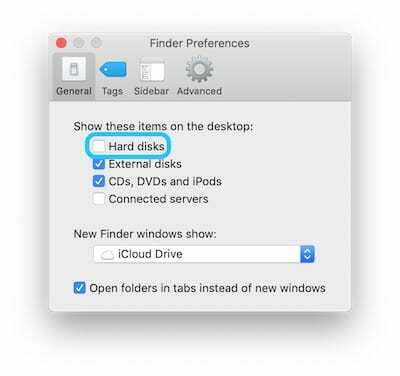 We need to access your Mac’s Hard Disk, and to ensure we can do that you need to open Finder’s Preferences from the menu bar. Under the General heading, tick the box to show your Hard Disk on the Desktop. Double click the Hard Disk icon that has appeared on your Desktop to open a new Finder window. Navigate to the Users folder and then go into your old user account. Here is all your old data, if there are no red block icon on the folders, you can go into them and copy whatever data you want to recover. 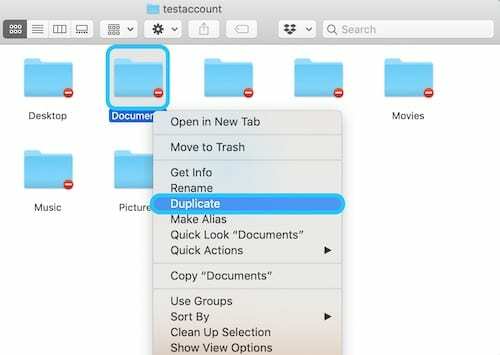 Otherwise, control-click any folder with a red block icon and click Duplicate. Enter your new Admin password and click continue. A duplicate version of that folder and all the data within it will appear, which you can access and move to your new account. Do this for all the data you want to recover, and when you’re sure you have everything you can delete your old user account from the Users & Groups Preferences to free up space on your Hard Disk. Hopefully after all that you’re back into your account with your data safe and secure. 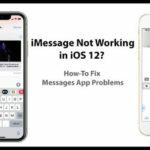 If these tips didn’t help, it could be that your only remaining option is a factory reset and recovering data from a backup. Let us know in the comments how this guide worked for you!